Daisy is a mustang in her mid to late teens. She is a big mare. She is not broke to ride but you can handle and lead her. She currently is not very trusting and does not like being loaded onto trailers. She has terrible turned in hooves from years of not letting anyone help her. We recently finally found a trainer that is willing to work with Daisy! Keller Horsemanship took her in today and got her teeth floated as they were in desperate need of some work! She is learning to trust as we speak! 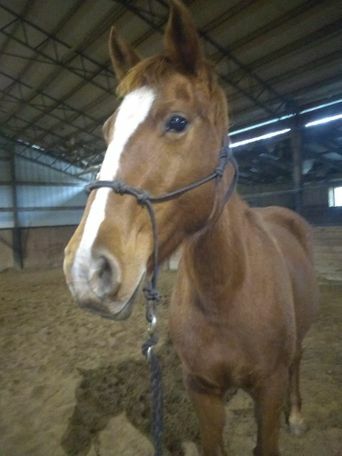 A direct note from her trainer: “Daisy Update- this mare came in for some much needed help. She's a 15 year old QH/Mustang cross that hasn't had much of anything done with her, all her life! She was surrendered to Faith N Friends Rescue. This poor mare knows nothing of trust or leadership from humans, but let me tell you something...this is a big, 15.3, beautiful, elegant mare and intelligent as well. I've started peeling back the layers and there is a good horse underneath it all. 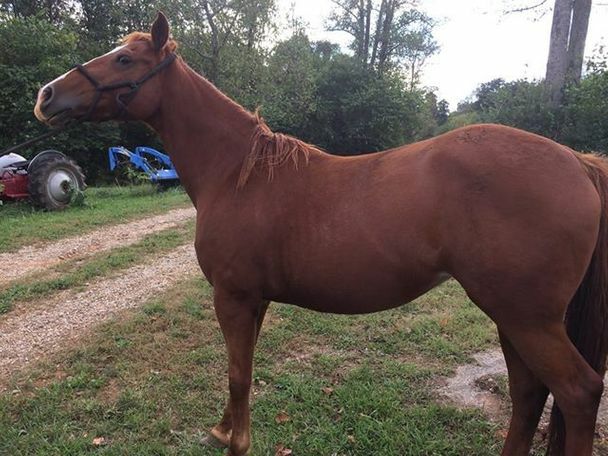 **Faith N Friends Horse Rescue and Sanctuary offers horses for adoption for low adoption fees. Visit www.faithnfriends.org for the adoption application and contract. To approved homes only. Please contact us with any questions or concerns.